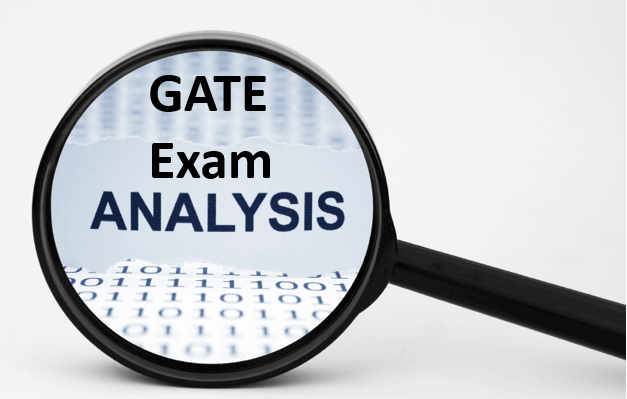 GATE Answer Key: GATE 2019 Official Answer Key for Forenoon and Afternoon Shift has been released now, Candidates can challange the GATE 2019 Answer Key till 22nd February 2019. the authority IIT Madras has been released the Official Answer Key on the Third Week of February 2019, Some of the Coaching Institutes like The GATE Academy, Made Easy and others also release the Answer Key within the Few days of the Examination. The Authority will be release the Official Separate Answer Key for each and every GATE Paper, Candidates can check the Answer Key on the Official Website, In this article we discuss the GATE Answer Key, check here the Answer Key for GATE 2019 and Previous Years Answer Key. GATE 2019 Official Answer Key has been relased now, Click Here to Check GATE 2019 official Question Paper and Answer Key. GATE 2019 Candidates Response Key has been released now, Click Here to Check Response Key(through login). MCQs carrying 1 marks each, 1/3 marks would be deducted as a penalty of marking the wrong answer. For questions carrying 2 marks, 2/3 marks would be deducted for marking an incorrect answer. Count the Marks gained in the correct answer deduct the marks lost in incorrect answers due to negative marking. GATE Marks = Marks obtained for MCQs + Marks obtained for NAT questions. NAT Marks = Total marks (1 mark each question) + Total marks (2 marks each question). MCQ Marks: Total marks (1 marks) + Total marks (2 marks). Once the exam will be conducted successfully by the authority then they will release GATE 2019 answer key. It is expected that the exam will be held in the month of February 2019. for each stream, authority will released the answer key separately. If candidates think that the answer given under the answer sheet by the authority is wrong then there is also a facility in they can appeal for objection with a least amount of fee and if authorities will found that the correction is right that mean your fee charge will be refunded in that case. How to Download GATE Answer Key? GATE Answer Key will be publish in the Third week of February 2018, the Answer key will be publish in the online mode, the GATE Answer Key contain the Correct Solution of the Question asked in the GATE 2019 Exam. Candidates can check or download the answer key with the subject wise, here we are proving some of the steps that helps to check or download the GATE Answer Key. Visit the Official website of GATE 2019. Click on “Answer Key” link displayed in the GATE official website. Select the Paper and the relevant answer key. The Answer Key will display on your screen. Check and download the Answer key. GATE Cut off is the minimum marks to be eligible for admission to IITs and IISc. This is a factor deciding that either candidates is qualified in the exam or not. GATE 2019 cut off marks varies stream-wise and category-wise. The cut-off marks are less for reserved category candidates as compared to the unreserved category candidates. No common counseling will be conducted by IITS for providing admission to PG courses. Candidates need to apply individually to the IITs when their admission notification will be announced. To admission in NITs Centralized Counseling for M.Tech. / M.Arch./ M.Plan. Admissions (CCMT).The counseling procedure for NITs will be same every year.The counseling procedure is totally based on GATE 2019 scores.